There’s a lot of great new stuff bubbling up through the ether out there. Today, we dig into a few warm-weather months of mailbag offerings to reveal a carefully vetted mid-year set of new and impending album-length coverfolk collections sure to tickle the coverlover’s fancy. 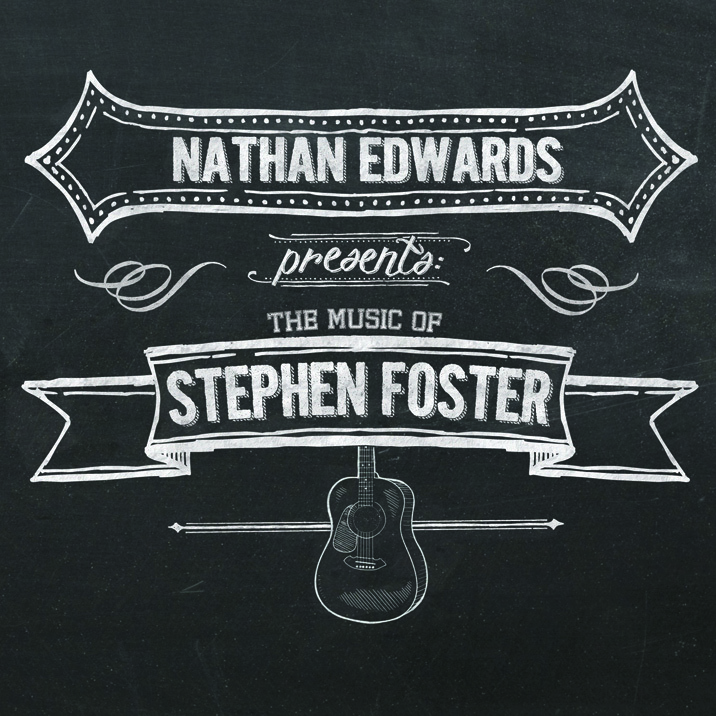 The 8 song reinterpretations on The Music of Stephen Foster, a new homage to the “Father of American Music” from midwestern “acoustic folk and electroacoustic musician” Nathan Edwards, are quite diverse, when you get down to it, ranging from James Taylor orchestral to echoey electroacoustic indiefolk. Yet the warm vocal tones, exquisite instrumentation, and loving research which underlie this small-yet-ambitious project provide a unifying force that transcends mere songbook commonality. 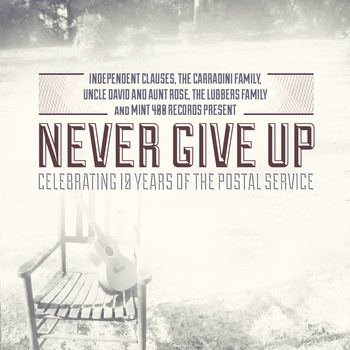 The result is seamless: a truly transformative yet eminently honest set that succeeds in its promise of updating the old songs for modern ears, finding the indiefolk, Americana, country and soul in songs long embedded in our national psyche. Stream two tracks below, and preorder here in digital or hardcopy for a July 16 drop date. If we’re late to the party on Sam Amidon‘s newest covers-and-tradfolk release, it’s because Bright Sunny South is startlingly complex, with deep exploration that grates as easily as it glorifies, and a shift in tone from track to track that seems, at times, less a journey than a yawing catalog of inner voices. Indeed, at its most experimental, Bright Sunny South is hard to listen to, and maybe that’s the point: Sam’s shaky voice, like a raggedly bowed saw blade, remains creaky and primordial; most reviewers have complained about his Mariah Carey cover, which seems overly gentle and abstract for its concrete and commercial lyrics, and the smashing electric feedback session that closes the otherwise pensive tradsong He’s Taken My Feet, while compositionally adept, seems too confrontational every time. 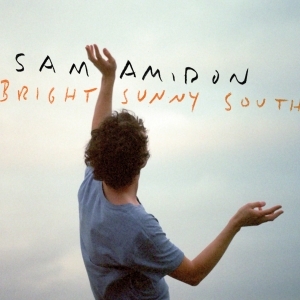 But if Bright Sunny South is a (purposefully) mixed bag, it’s an amazingly mature one, with stunningly smooth, shimmery production finally allowing the frail and often meager instrumentation that Amidon brings to his interpretations to finally sound less lo-fidelity and more deliberately broken. 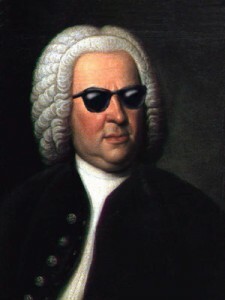 Some tracks are melodic, others, like As I Roved Out, are more wholly deconstructed, – their lyrics collapsed and reshuffled, their fragments of tradition echoing through in pastiche – but each has a tension that reveals and reveres. 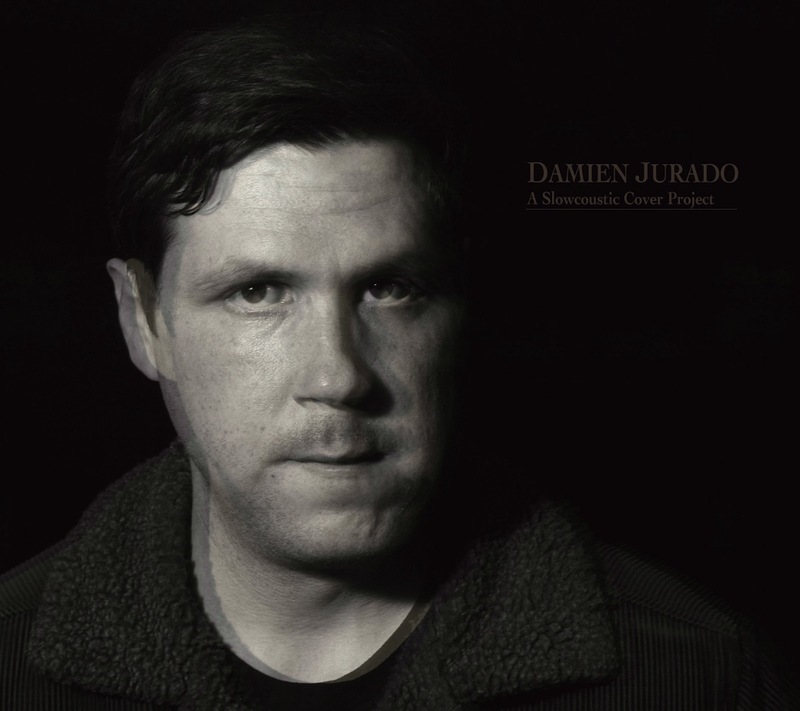 Call it a thinker’s album, and give him the Grammy already, for nowhere else this year have we heard such intimacy, such clear recognition of the myriad paths of shapenote hymns and old-timey folk brought forcefully into the 21st century. 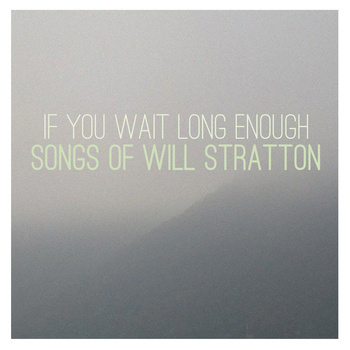 I’m still not sure how to categorize If You Wait Long Enough: Songs of Will Stratton, a benefit tribute album for the young indie singer-songwriter and composer whose cancer diagnosis last year illuminated the conflicted plight of artists in a world where medical bills are often unaffordable for those working outside the world of 9 to 5 employment. The ingredients for folk, or at least a sort of honesty generally sprung from the modern roots inheritors, are all there: though many tracks include a grungy wash of electric guitar undercurrent, most are spare and acoustic at heart, and there’s dreamscapes galore, which certainly suits Stratton’s generally witty and self-effacing lyrical phrases. But to shelve this album as even predominantly folk is to both ignore the synth-driven indie pop and rock elements of Kid in the Attic’s beat-heavy Do You Remember the Morning and Jesse Rifkin’s club-ready Katydid, and to mistake performance for genre. Greatness will out, however. What this album decidedly is, is an honest, cohesive, organic introduction to the works of an undersung artist in need of support from a set of artists who clearly care for both that body of work, and the body of the man who produced it; as such, it stands easily among the better tributes we’ve heard this year. So check out the more primitive tracks, such as the swirling banjo-driven climb from sadness into subdued promise brought by Brattleboro-based acoustic string explorer Sam Moss and the Ineligible Bachelors (with Corey DiMario of Crooked Still on upright bass, and Amidon sibling Stefan of Sweetback Sisters on percussion), and Louisiana-born, Brooklyn-grounded songcrafter Zachary Cale‘s tender and pensive Bluebells, then stream and buy on Bandcamp to support Will’s recovery and treatment. As an addendum to the above, fans of Sam Amidon and/or primitive folk would do well to check out The Parlor Is Pleasant on Sunday Night, Sam Moss and fellow Vermonster Jackson Emmer’s eminently fragile late 2012 duo collection of old-time songs of “jubilation…and defeat”: while not new, my thread-pulling discovery of the collection while researching the above made me an instant fan. We often complain of mass market mixed-genre tribute albums, even as we celebrate the folk tracks therein. But if the approach taken by Never Give Up: Celebrating 10 Years of The Postal Service, a new multi-artist tribute produced in honor of the joint ten-year anniversary of curating blog Independent Clauses and seminal Postal Service album Give Up, seems much more listener-friendly – with its 21 track setlist divided into discrete folk and indiepop “albums” – who are we to argue when the result is easily more than an album’s worth of great covers? Which is to say: if not every track is to our taste on either disk, well, that’s to be expected when working with unknowns; there are more hits than misses here, with multiple coverage of well-recognized songs allowing the listener to choose sides, and hipsters to defend theirs endlessly. Perhaps that’s the point: I’m wholly in love with the ability to line ‘em up, and utterly lost in the way Venna’s hope and heavenly harmonies play against the bouncy brush, bass, fiddle and banjo Seven Handle Circus bring to their own version of well-known indie shout-out Such Great Heights, a pairing which will play consecutively in the player below. And that’s just the folk side, which says something about the hard edge on the indiepop end of things. Suggesting strongly that blog-born coverage collections may be a bit more fan-friendly by definition, similar curative circumstances result in a similarly sprawling yet surprisingly strong Damien Jurado tribute from Slowcoustic, which, like the well-produced J. Tillman tribute Slowcoustic produced earlier this year, has been slowly released over the last week. More cohesive by design – blog host and Yer Bird label founder Sandy focuses on a much narrower spectrum of lo-fi “slow acoustic” music, making for more commonality of sound and approach in his mix – the new Jurado homage is nevertheless deliciously imperfect, and overstuffed with double and triple takes on some of the indiefolk darling’s most poignant compositions, each one rawer than the last. As always, we’re thrilled with turnouts from Cover Lay Down faves Hezekiah Jones, Doc Feldman, and Lotte Kestner, and pleased to find some new love and appreciation in the mix from Kim Janssen, Jeremy Squires, and more; for a track-by-track breakdown of contributing artists and the choices they’ve made in coverage, head directly to Slowcoustic’s 5-part treatment of the collection, without passing “go”. Finally, from the edges of folk but still firmly grounded in the roots of American acoustic music come two genre coverage collections, one Motown soul, one eminently old-school classical. First, Chris Thile’s all-classical, all-Bach album, wherein a collection of sonatas and partitas translate into masterfully crisp mandolin tunes without losing a drop of bravado, thus proving once again just why this artist recently received a MacArthur “Genius” Grant; the album doesn’t drop ’til August, but pre-orders are ongoing, and the video below is a great teaser. And second, Decoration Day, Vol. 2, a new EP-length multi-artist covers compilation from the indiefolk collective at Mason Jar Music, which takes a funky 60′s era Motown approach on songs originally by Sly Stone, Curtis Mayfield, Billy Taylor, and Bill Withers, plus a Beatles tune and a Willie Dixon number, bringing the collection into the millennium with an ear towards the acoustic and the “new Americana” melting pot. Fledgling NYC label Mason Jar’s mostly-Brooklyn tradfolk collection of stormsongs after Hurricane Sandy was one of our favorite albums of 2012; finding their Decoration Day EP series ongoing is a delight, especially after their first volume brought such wonderful talent and folk stylings to 200 years of popular American song; as a bonus, we get to celebrate sweet up-and-coming soul-meets-singer-songwriter Emily Elbert again, which is always wonderful. Cover Lay Down features new thematic songsets and artist-focused entries twice weekly throughout the year thanks to patrons and supporters like you. Coming soon: more mailbag coverage from up-and-coming artists, and a new Single Song Sunday collection uncovers the path a Rolling Stones tune takes in becoming an outlaw country classic.